About JK SET 2019: Jammu and Kashmir State Eligibility Test (JK SET) is a State Eligibility Test conducted by University of Kashmir. Candidates willing to work as an Assistant Professor in various colleges and universities in the state Jammu and Kashmir can apply for JK SET. Conducting Authority: Before 2012 Jammu University was the Nodal Agency to conduct the JK SET but, after 2012 it is the University of Kashmir which is the conducting authority of JK SET. Level: JK SET is a State Level examination conducted for the candidates who are willing to opt their career as Assistant Professor in the colleges and universities of Jammu and Kashmir. 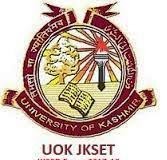 Frequency: JK SET is conducted once in a year under the supervision of the University of Kashmir. Exam Paper: JK SET will be conducted in 3 papers, Paper I, Paper II and Paper III. Paper I will have 60 questions and 50 questions are to be attempted, the exam will be conducted for 1 hour, Paper I is for 100 marks. Paper II will have 50 questions and all the questions are compulsory, the exam will be conducted for 1 hour, Paper II is for 100 marks. Counselling Process: Based on candidates qualifying marks the counselling process will be carried out. Registration: Online registration for JK SET 2019 was available on 22nd February 2019 and you can register till 29th March 2019. Admit Card: After the successful registration, you can download your admit card from the official website from 14th March 2019 onwards. Exam Date: The conducting authority scheduled to conduct JK SET on 7th April 2019. Results: You can check your results on the Official Website on 5th July 2019 by entering the required details. You must have a UGC recognized Master’s degree with at least 55% marks and 50% for reserved category If you are appearing in the final year then you can take up the exam. If you are having a Ph.D. degree and completed a Master’s degree before 19th September 1991 will be eligible for 5% relaxation in qualifying exam marks. You are advised to apply for the subject of your Master’s degree only. It is not necessary for you to be a permanent resident of the Jammu and Kashmir state. There is no minimum upper age limit for applying for JK SET 2019. Application Form for JK SET 2019 was available Online on the Official Website on 22nd February 2019 till 29th March 2019. You can submit the application form Online. Application form without the application fee paid will not be accepted. You will have to provide your personal details, academic details and contact details in the application form. you will have to upload a scanned copy of recent passport size photo and signature in the application form. You will also need to choose the subject and preferable exam centre for writing JK SET 2019. After filling the application form you have to submit the application fee only via online method. Visit the Official Website and check for the Application form link. Click on the Application form link and fill all the required details. Upload the Scanned copy of your recent photo and the signature. Fill all the details correctly and make the application fee payment. Application form fee can be paid online through Net banking/ Debit Card/ Credit Card. Take the printout of the application form after the successful submission for future references. You can download the Admit card from the official website on 14th March 2019. Download the admit card and Take the printout of the same. Check for all the details on the Admit card is correct. Admit card will be available a week prior to the exam. Admit card is a mandatory document to be carried to the examination hall. JK SET 2019 will be conducted Offline, and the questions will be multiple choice based questions. JK SET 2019 will be conducted in 3 papers. Paper I, Paper II and Paper III. Paper III will have 75 questions and all the questions are mandatory to attempt, the exam will be conducted for 2 hours 30 mins, Paper III is for 150 marks. Syllabus varies from subject to subject, you are advised to visit the official website to know about the syllabus for each subject. There are 37 different subjects and 1 general paper, and the selection of the subject depends upon the subject studied in Post Graduation. After completion of JK SET 2019, the results will be announced in the Official Website on 5th July 2019. You can visit the Official website and check for the results. Download the Marks sheet and take the printout of the same for future references.